Alessandro has been in coffee since 193 when his father bought the property in São Gonçalo do Sapucaí. Since then he has been learning to produce coffee at Fazenda Fortaleza where he lives and has 5 hectares of coffee. 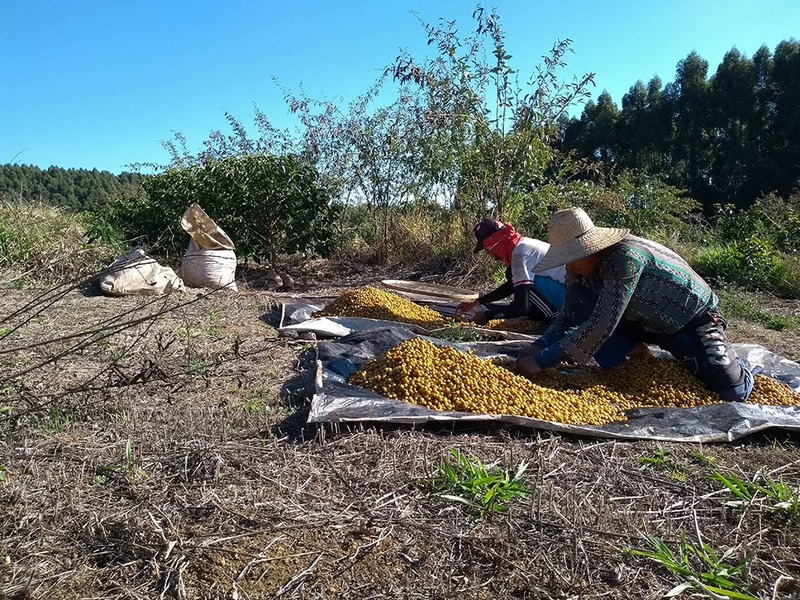 The producer works with familial agriculture and is a member of APAS (Alto da Serra Producers Association), where he works with other producers focused on producing high-quality coffees, mainly naturals. In 2013, they began to pulp their coffees. The coffees are dried on paved patios, African beds and greenhouses. 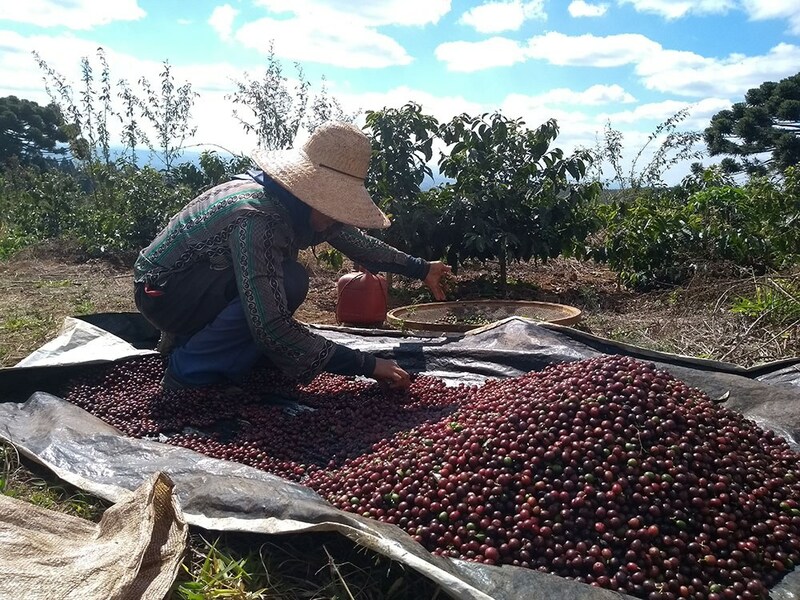 The region has been gaining ground in specialty coffee production recently. 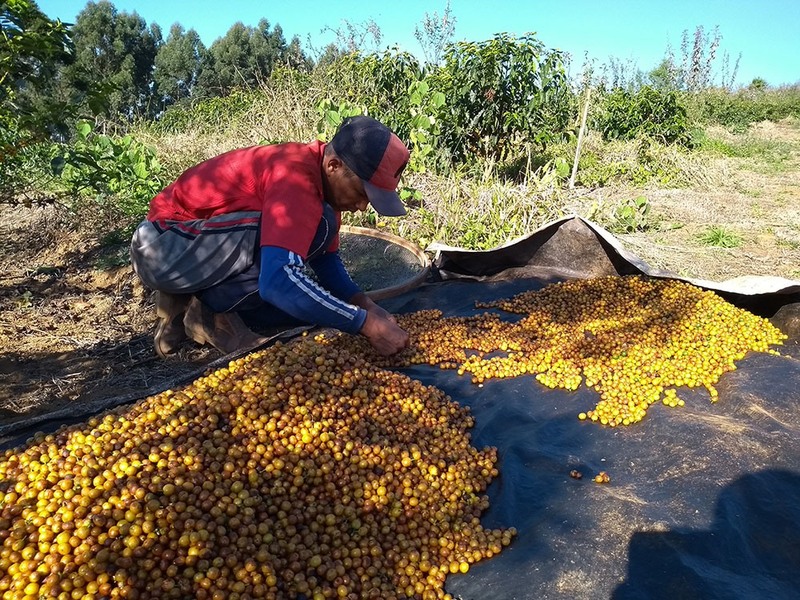 Alessandro began using selective harvesting in 2016. At first it seemed impossible and unviable, as everyone said. But thanks to God, the quality of the selectively harvested coffees surprised them, resulting in notes and flavors they hadn’t imagined. Selective harvesting greatly elevated the quality of their coffees and they are always trying to improve quality.Alessandro is testing organic coffee in a few fields, with high hopes.They also work with beekeeping and created the Honey & Coffee brand to represent this work on coffee farms. They are constantly working to improve the quality and variety of their products.Alessandro is married and has two daughters, 7 and 14. He is teaching them about specialty coffee and hopes they will learn and like it and help him in the future. 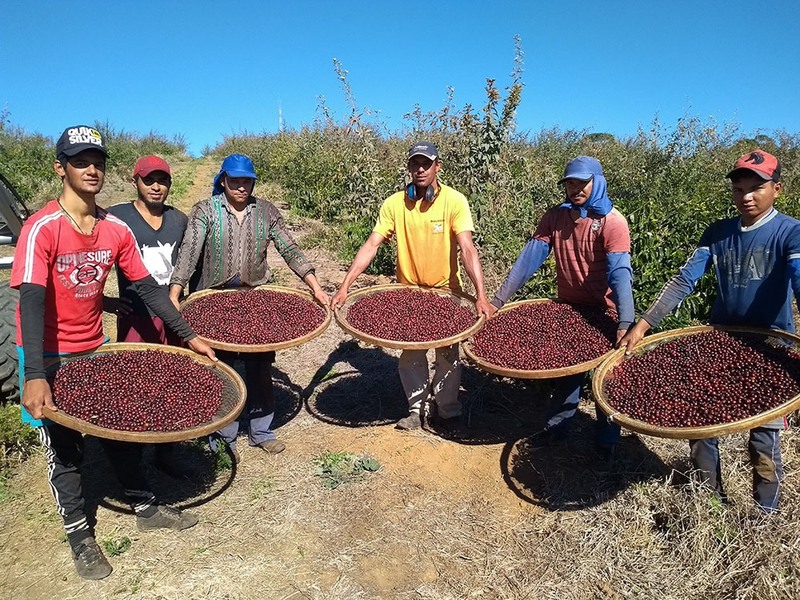 The coffee was picked selectively, only ripe cherries were harvested. It was dried slowly on covered African beds.